Our eye movements in response to visual stimuli reveal much about how we experience the world. Focusing on the latest developments in the multidisciplinary field of eye tracking research, this volume ranges across a wide spectrum of research applications, with four sections covering the plethora of practical uses to which our expanding knowledge can be put. They offer abundant evidence that eye tracking research and its methodologies offer new ways of collecting data, framing research questions, and thinking about how we view our world. As a result, we are discovering more about how the visual system works, as well as how it interacts with attention, cognition, and behaviour. 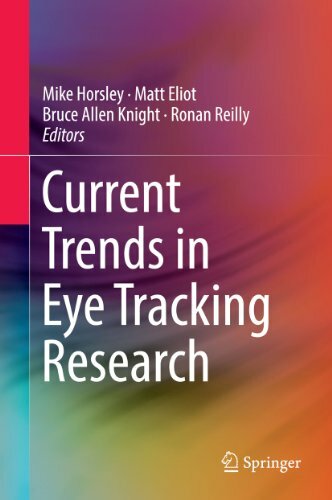 Current Trends in Eye Tracking Research presents the work of more than 50 researchers and academics, showcasing groundbreaking studies and innovative ways of applying eye tracking technologies to interesting research problems. The book covers the current output of a number of pioneering research . . .